Printed from http://www.bodytalksystem.com//learn/news/article.cfm?id=1081 on Apr 20, 2019. BodyTalk Access Outreach is a program supported by the IBA and International BodyTalk Foundation (IBF) that serves those people around the world who receive inadequate healthcare or no healthcare at all. While many adults in these communities are often taught the Access techniques, the Outreach program also teaches a lot of children who can take the techniques home to help their families and animals. With the help of Dorothy Friesen, CBP and BAT, the program was designed as a self-help and self-empowering program where learning is facilitated in the participants' own language, using picture-only manuals when needed. Because it serves underprivileged areas where Access or BodyTalk have not reached, the "Outreachers" who teach the Access course do not need to be certified instructors, although they can be. However, they must have taken the BodyTalk Access and BodyTalk Fundamentals courses and have offered Access to family and friends for at least one year and receive approval through the program. The BodyTalk Access Outreach programs rely primarily on the IBF for their funding. It is the donations of Members, Instructors and the public that allow the IBA to donate free manuals for these courses and support them in other ways. The more funding the IBF receives in the form of donations, the more we can support these events. Currently, many Outreachers and Instructors take time away from their own clinics and teaching schedules and pay for their own airfare and accommodations to help make these events happen. 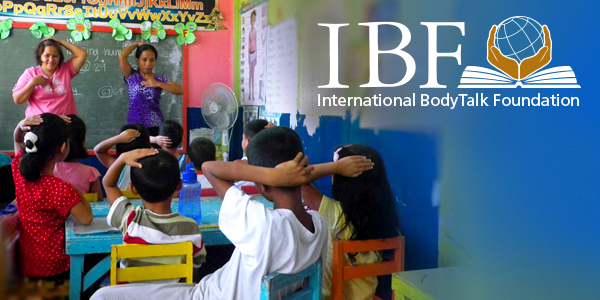 By donating to the IBF this holiday season, you make it easier for Instructors, Outreachers and Coordinators to organize and teach these events that provide so much benefit to the local slums, tribes, villages or war-torn areas that have thus far been unable to get the healthcare they need. If you live in a part of the world that you feel could benefit from the Outreach program and/or are interested in becoming an Outreacher yourself, please contact us at office@bodytalksystem.com. Click HERE to donate to the IBF.